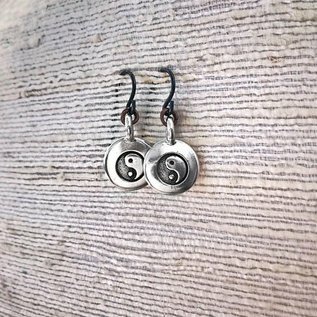 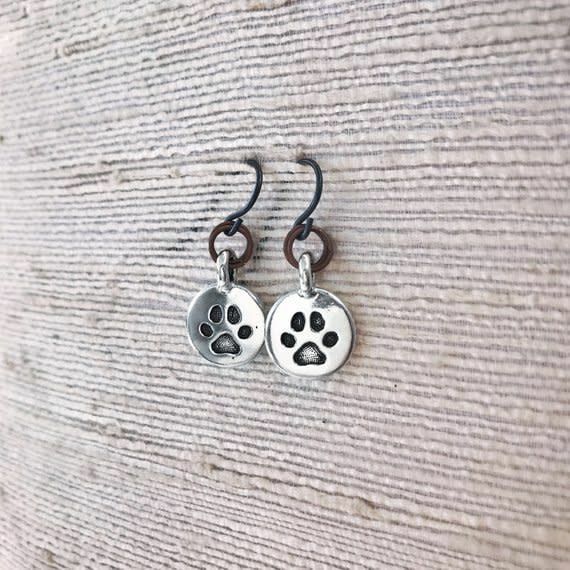 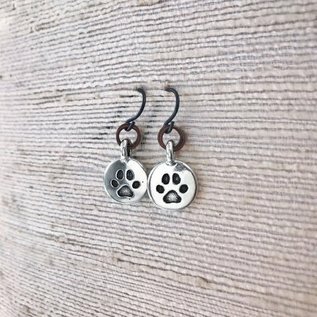 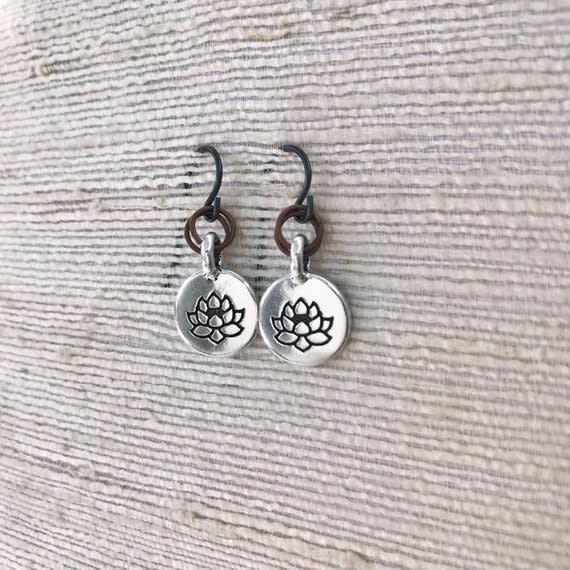 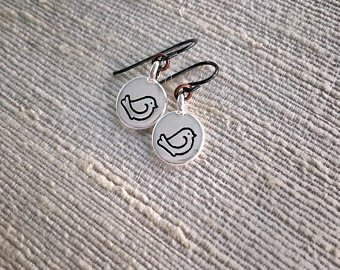 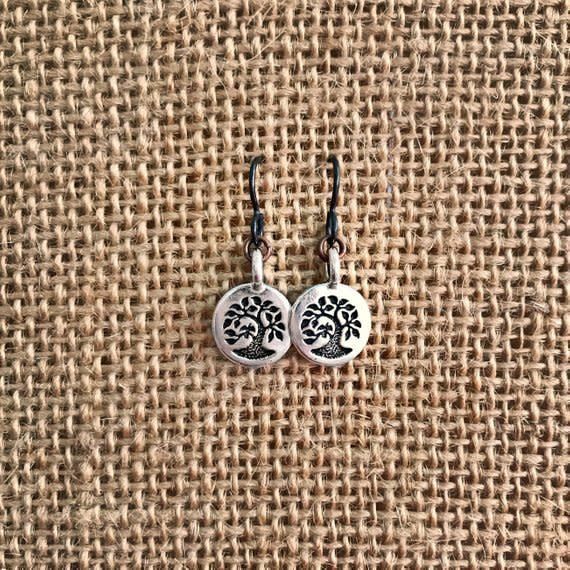 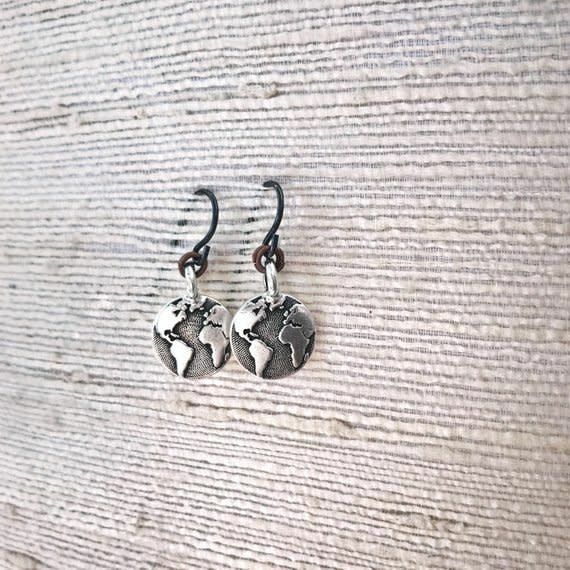 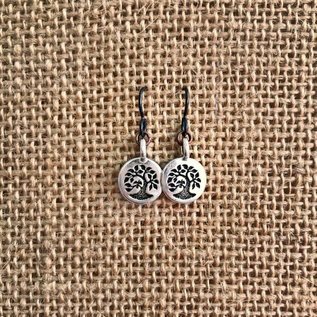 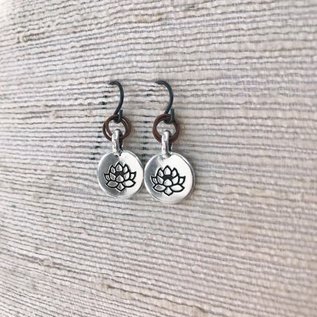 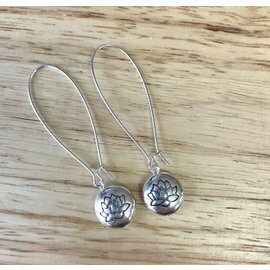 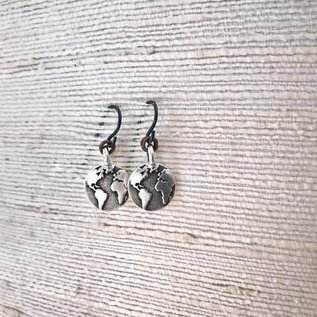 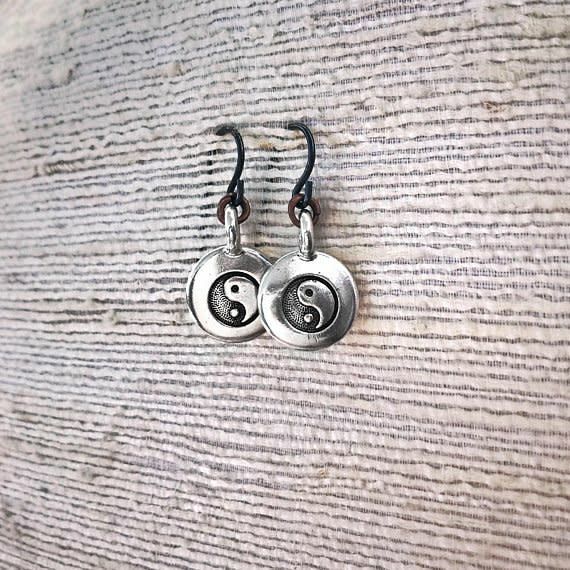 Cute little silver-plated 12mm pewter charms hang from copper rings on black hypoallergenic niobium ear wires. The overall effect is subtle and earthy, but not boring or drab. 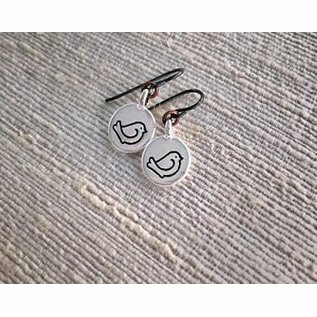 The perfect touch for everyday.